John Wray, Paul Guilfoyle, Cy Kendall, Halliwell Hobbes, Allan Lane, Barry Fitzgerald, Alan Hale, Wendy Barrie, Chester... 2019 BRAND NEW Amazing low price. John Wray, Paul Guilfoyle, Cy Kendall, Halliwell Hobbes, Allan Lane, Barry Fitzgerald, Alan Hale, Wendy Barrie, Chester... New. Buy with confidence-Satisfaction Guaranteed! Delivery Confirmation included for all orders in the US. 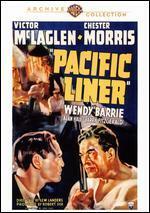 Victor McLaglen; Chester Morris; Wendy Barrie; Alan Hale; Barry Fitzgerald. New. Run time: 76 mins.